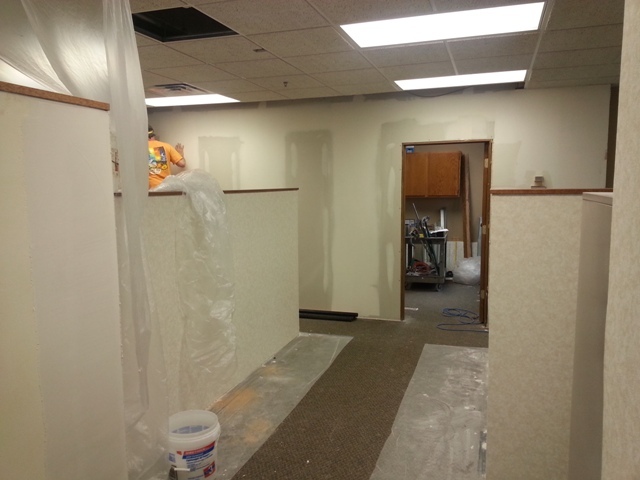 Young & Associates Insurance is EXPANDING! 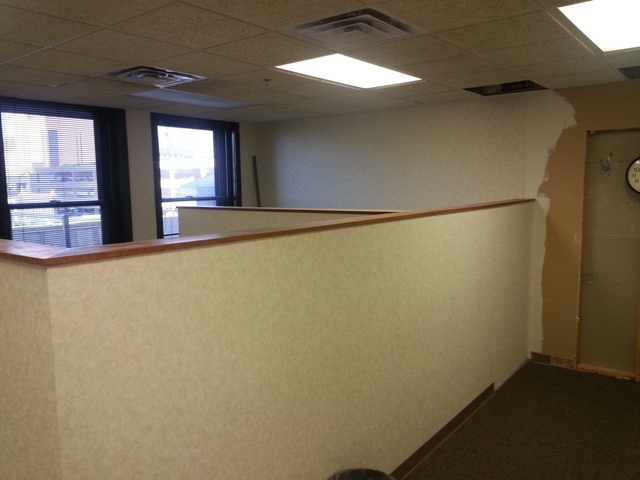 Home > Blog > Young & Associates Insurance is EXPANDING! We are so excited to share that we are expanding! 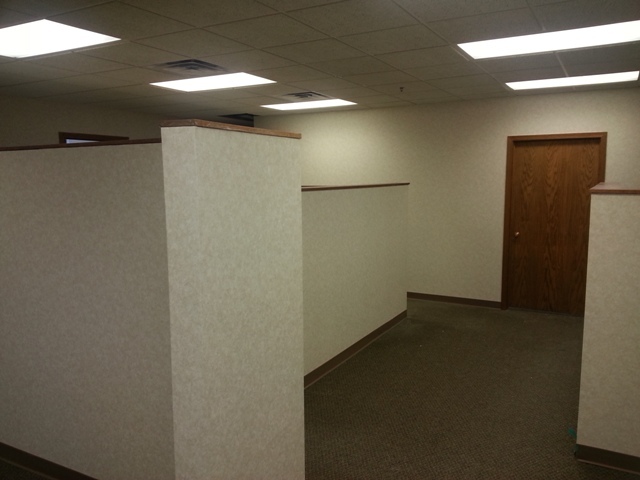 Young & Associates Insurance has taken over the WHOLE 4th floor in the Sellwood Building in Downtown Duluth. 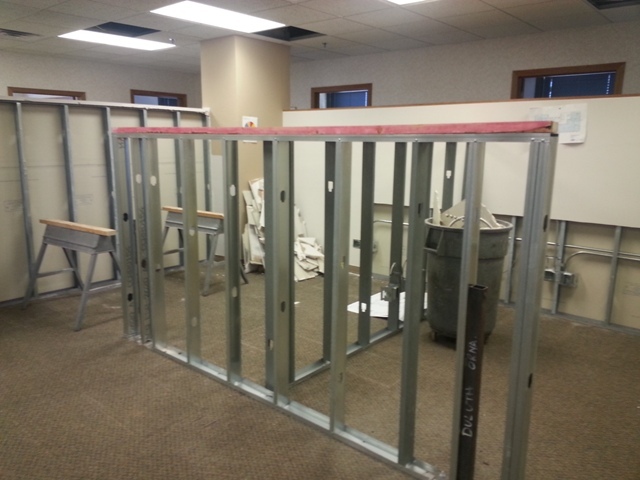 Not only are we knocking down walls to connect to the other offices on the floor, we are also gutting and rebuilding existing space, adding a second conference room, moving and upgrading our entrance and adding 4 additional offices. 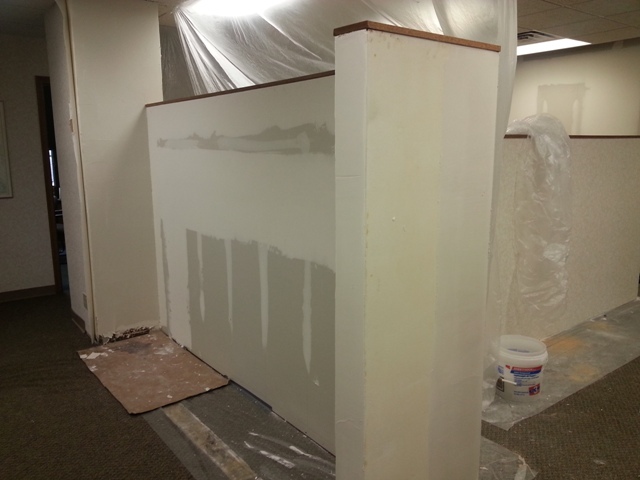 Construction is in full swing and we are hoping to finish Phase 1 (out of 3) by next week. Here are some before and after pictures of Phase 1 and a little description of each step to give you an idea what is happening. 1. 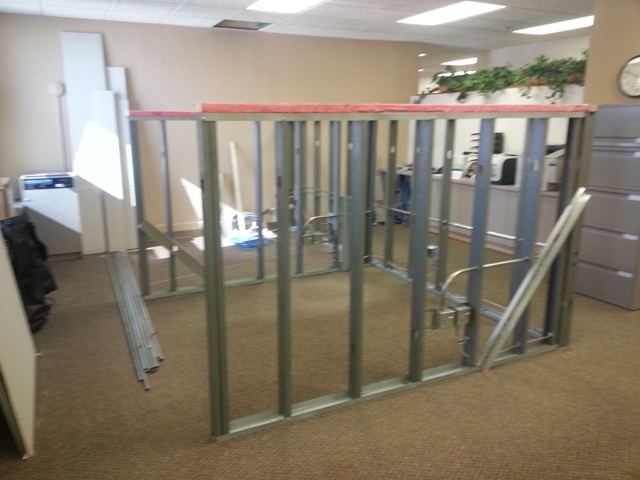 We gutted our existing Commercial Department. 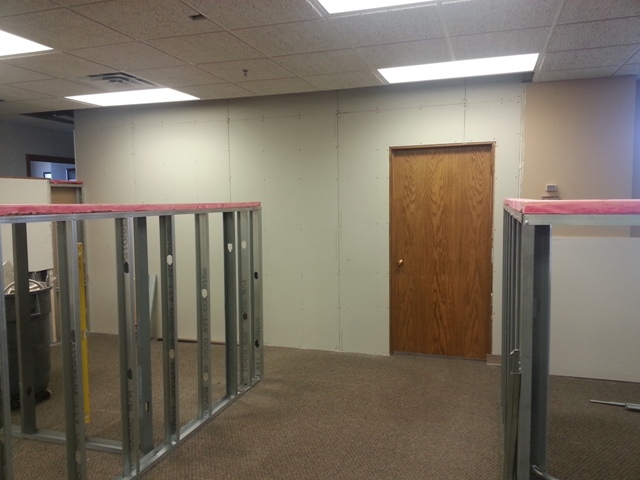 Taking down our partitions and dividers and moving walls for more room. 2. 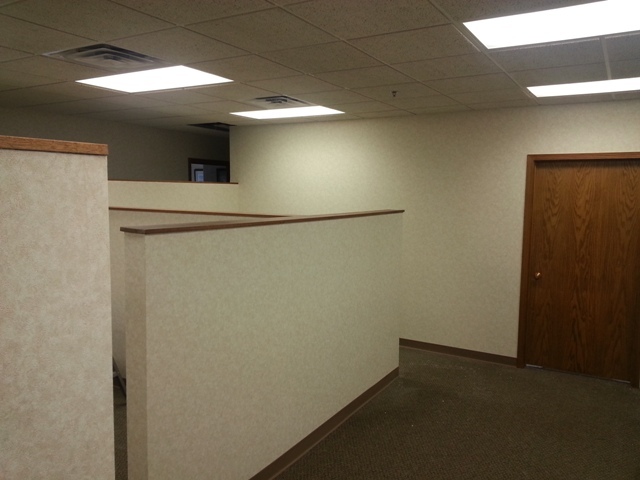 We had custom built work spaces put in and added an additional space for our new Account Manager we have hired to help expand our growing Commercial Department. 3. Custom built desks are getting their finishing touches and will be installed by the end of this week. Then, our file cabinets and decor will be added to COMPLETE Phase 1 (stay tuned for the final pictures)! This is such a exciting time for Young & Associates Insurance! A big thank you to all of our customers and we appreciate your support. We hope you can stop by soon, either to peek at the progress or to see the finished project (anticipated completion date of May 2015).